We are not limited by the laws of physics, as we know them today! We are not limited by the laws of biology, as we know them today! Our DNA is a code that we can change and “upgrade” by choice! The implications of these discoveries are vast, powerful, and to some, even a little frightening. They show us, beyond reasonable doubt, that we have the power to reverse disease, re-define aging, create peace between nations, and even change reality itself through the focused power of heart-based emotion, and belief. It is these seemingly miraculous abilities that create the life-affirming joy in our lives that becomes the reality of our world. They are all based in the same principle! In the first years of the 21st Century, scientists confirmed the existence of a field of energy that connects us with everything in our world. Given names that range from the Quantum Hologram and The Field, to The Divine Matrix, and the Mind of God, research has shown that through the conduit of this energy, the feelings, beliefs, and prayers within us, change the world around us. There is a precise “language” that it recognizes. We can learn the language quickly. We find the instructions describing how to speak the language of miracles hidden in some of the most isolated and remote locations remaining on earth today. For more than 20 years Senior Computer Systems Designer, author, and visionary scientist Gregg Braden has searched high mountain villages, remote monasteries, ancient temples, and forgotten texts to uncover precisely such timeless secrets. Between 1998 and 2005 his journeys into the highlands of central Tibet revealed the forgotten form of prayer that was “lost” during the biblical edits of the early Christian Church. In this rare, illustrated interview, he documents this mode of prayer that has no words or outward expression, and the science that describes how it links us to the quantum force that connects all things. Why we are born with the power to speak the language of miracles! How easy it is to learn that language in our lives! How to use the science of miracles us to reverse disease in our body, create lasting, nurturing relationships and bring peace to our world. 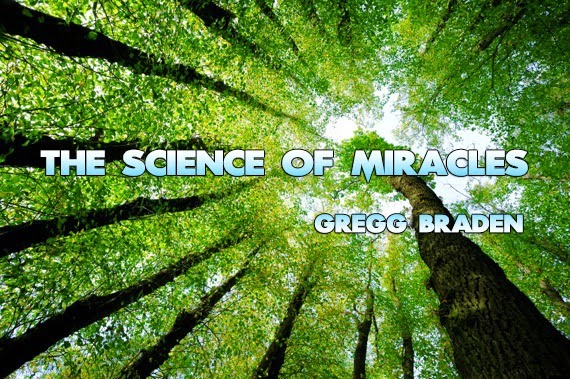 Gregg Braden : Holographic Nature Of The yoUNIVERSE ! So the Vatican is controlling humanity with their lies? I agree, blaming and judging is a waste of energy. Just live & spread the love. Is there any way we can get this information about the "the forgotten form of prayer" now that Hay House has taken down all the videos. Wow...so much for wanting the world to be healed..doesn't speak to well for them.